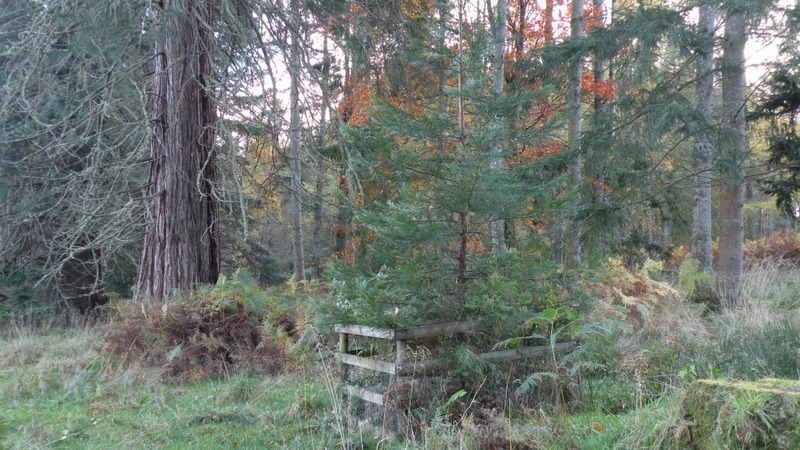 Grand Fir (measured in 2015 at 57m tall, 7.64m girth by Monumental Trees) Scott wrote to tell us about his find at Murthly Castle in October 2016. 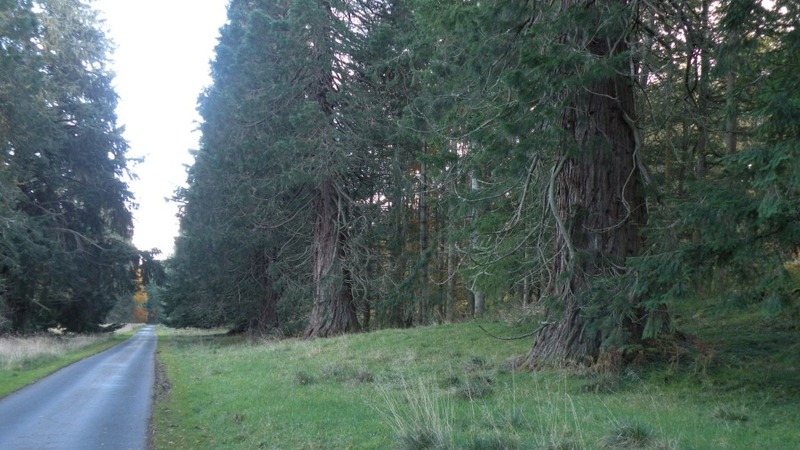 "At Murthly Castle near Perth there is an avenue of about 25-30 Giant Sequoia and a small grove of 4 Giant Sequoia and 3 Coast Redwood just of the main driveway. I say '3 Coast Redwood' but it's actually 7 trunks in total. One of the trees is actually 4 trunks growing out of the same root. 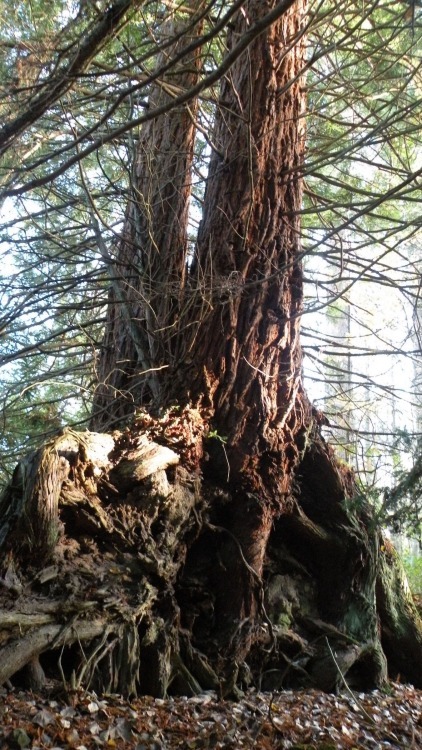 I've never seen anything like it before but it appears, maybe, that there was one there in the past and it fell over and had most of the trunk removed leaving just the upturned roots and a few feet of trunk on the forest floor, from which 4 new trees have sprung. Thats what it looks like, at least. They are just off the main driveway to the left and I would probably have missed them in summer but now the trees are shedding their leaves they were easier to spot. Further down the driveway you come across about 25-30 Giant Sequoia, including a recently planted one, interspersed with some enormous Firs. 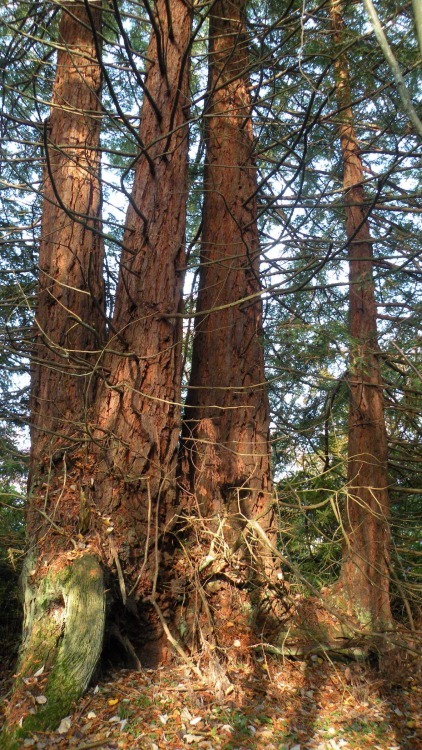 It looks like the Giant Sequoia were probably planted in the mid/late 1800s as there were lots of them planted in the area at that time after Patrick Matthew sent his original seeds back in 1853. The Coast Redwoods look younger than that though. 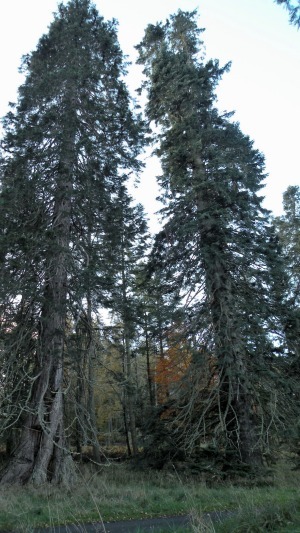 The Grand Fir is huge and was measured in 2015 at 57m tall, 7.64m girth (www.monumentaltrees.com) and is slightly taller than the neighbouring Sequoia, just to give a sense of scale as I've no way of measuring them." Thank you Scott for an interesting find. An avenue and a small grove is pretty good going for an afternoon's spotting, and then to top it you found a most unusual Coast Redwood in the grove. I have not seen one like that before either.